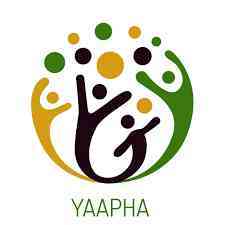 YAAPHA needs volunteers to help us in our daily activities in the various projects regarding HIV/AIDS. A HIV/AIDS awareness volunteer at this placement would be required to help out with raising awareness about the causes, effects and prevention of HIV/AIDS and the transmission and treatment of HIV/AIDS. Volunteers would assist with the education, as well as the care of youth who are affected by the HIV/AIDS pandemic through, “Home Based Care” and conducting public youth group educational sessions. A HIV/AIDS awareness volunteer would be expected to provide support, (for the most vulnerable children (MVC) who have been affected by the HIV/AIDS pandemic) through the organization’s foster parent programs, sponsorship for schools, counselling, tutoring and assisting to obtain monetary funds for basic needs. Volunteers may be asked to assist in the organization’s endeavor to educate citizens on important issues such as human rights and gender based violence. YAAPHA also offers legal counselling for people experiencing human rights violations. A HIV/AIDS awareness volunteer does not need to have had previous experience related to this illness but they must have good communication skills and a sincere desire to help in the fight against AIDS. Volunteers should have previously researched and educated themselves in respect to the different aspects of the illness so that they can make a meaningful contribution during their volunteering commitment, at this placement. Volunteers must be mature individuals who have the emotional fortitude to be able to work in sometimes stressful situations and project a positive attitude. Counselling is one of the tasks that a HIV/AIDS awareness volunteer would be expected to participate in with the assistance of staff. Therefore, all volunteers for this placement must have educated themselves in regards to all aspects of HIV/AIDS. This should include knowledge about current medications and treatments available. A HIV/AIDS awareness volunteer may be asked to assist in the outreach work, where the organizational staff with a volunteer would conduct trips to the streets and schools, reaching out to youth who are infected and/or who are at risk of being infected with HIV/AIDS. A HIV/AIDS awareness volunteer would be required to help in organizing sports and events for the youth groups that they work with. This is an important endeavor as it provides for these young people an enjoyable outlet to their often stressful situations. After a HIV/AIDS project has been completed (or perhaps during the said project) a HIV/AIDS awareness volunteer may be asked to assist the local staff in all necessary documentation. The data is filed in the organization’s office for future reference, if or when required.